A pronoun is a word that refers to either the people talking (like I or you) or someone or something that is being talked about (like she, them, and this). Personal pronouns (like he, hers, ze) specifically refer to people that you are talking about. Q. What is a designated personal pronoun? A designated personal pronoun is a pronoun an individual chooses within Wolverine Access to identify with and would prefer others use when talking to or about that individual. Q. What are some commonly used designated personal pronouns? Some people use pronouns not listed above (like e, ey, and per), while others prefer not to use pronouns and would like their names to be used instead. You are encouraged to speak with your professor about how you would like to be addressed. Q. How do I pronounce these? Q. Why is it important to respect designated personal pronouns? You can’t always know what someone’s personal pronoun is by looking at them. Correctly using someone’s designated personal pronoun is one of the most basic ways to show your respect for their gender identity. Q. What if I make a mistake? It’s okay! Mistakes happen. If you use the wrong pronoun, acknowledge the mistake, correct it, and then move on. If you forget someone’s personal pronouns, follow the same protocol: acknowledge the mistake, correct it, and move on. Q. 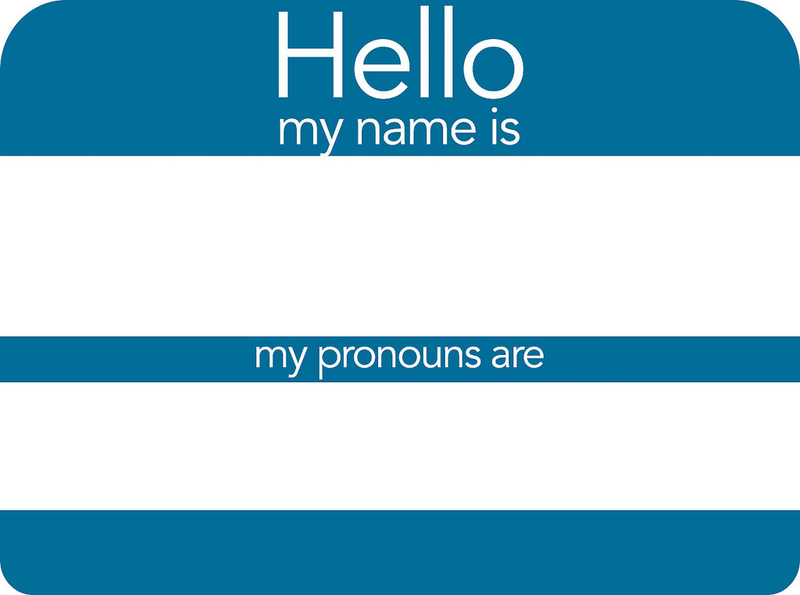 What if I think a designated pronoun on my class roster will cause disruption or ridicule? If a student is asking you to use terms you think would be disruptive or inappropriate for the classroom, use your best judgment. You are under no obligation to use any designated pronoun, although for legitimate personal pronouns, we strongly encourage you to do so. Q. What if I am not sure? If you are not sure what to do or if you want some assistance with a student request please contact Will Sherry, Director of the Spectrum Center or Vice Provost Rob Sellers.